My first offering for the One Game a Month challenge started out as a 48-hour game jam that happened over New Year's weekend. Myself and artist partner-in-crime Paul had been chatting about doing a game jam for a while, but unfortunately missed the last Ludum Dare. To make up for it, we used the last Ludum theme - "You are the Villain" - and got together for a weekend. It was the first time either of us had participated in a jam. 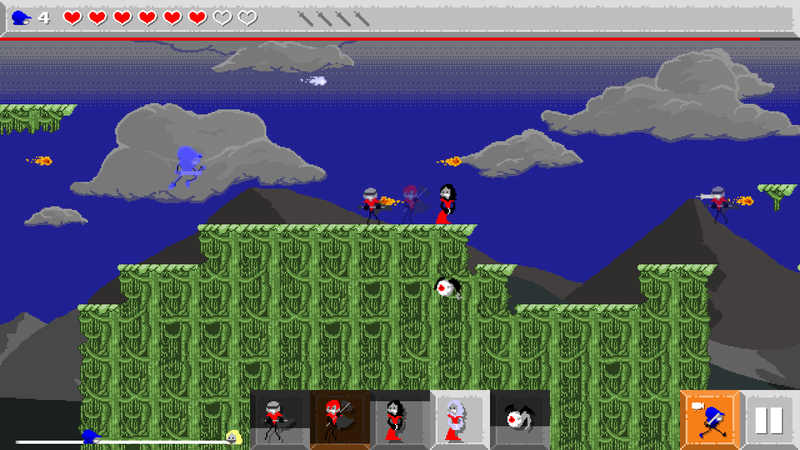 The outcome was our game, unimaginatively entitled "You are the Villain", which is a platformer tower-defense(ish) game. 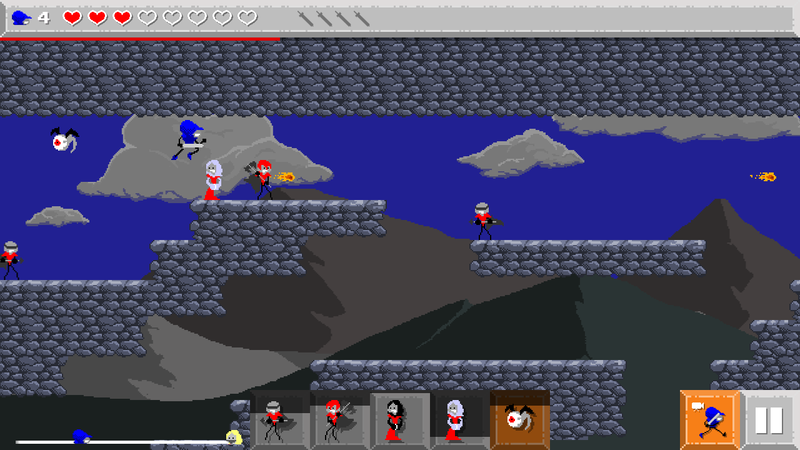 Rather than playing as the hero navigating the levels, the hero is AI controlled and your job (as the Villain) is to place Minions in the level as the hero traverses and attempts to reach the Princess at the end. 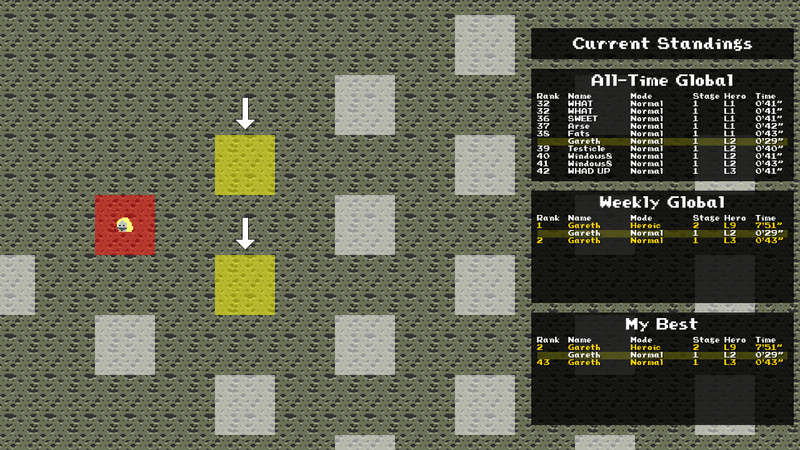 The result was actually a pretty addictive little game, excellent for playing in short bursts. We continued working on the game well into January adding an overworld screen, more maps, a leveling up mechanic for the hero and more. 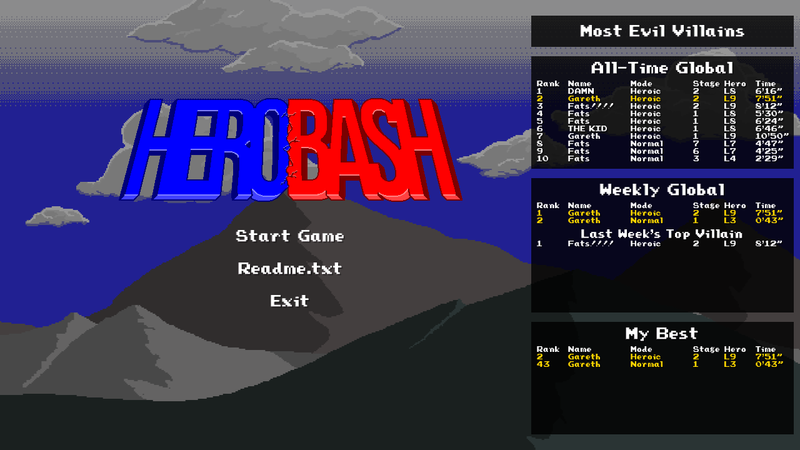 We even came up with a better name - "HeroBash". The intention is to eventually release HeroBash as a full game on as many platforms as possible. 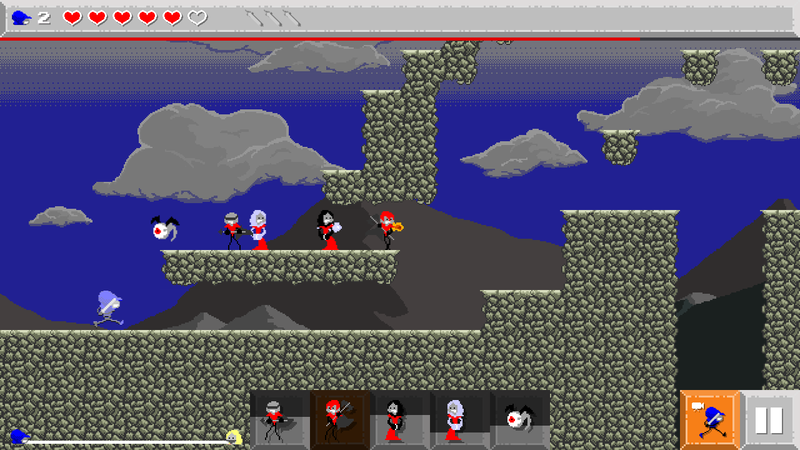 It works pretty well as a tablet game, so that'll be the start point. For the purposes of One Game a Month, I'm making available a Windows build of the original 48-hour jam version as well as the latest version of HeroBash actual. I hope to add Linux and Mac downloads for HeroBash as soon as I figure out how to package up a MonoGame game sensibly for either of those platforms.